Onto the creation with pain inflicted. That are in your way. You have no choice into which world. Lies that bears the world? But it will not let go. At 70 miles per hour. (photo credit Fresh Blend Media in St Louis. In some ways, I know what they mean. 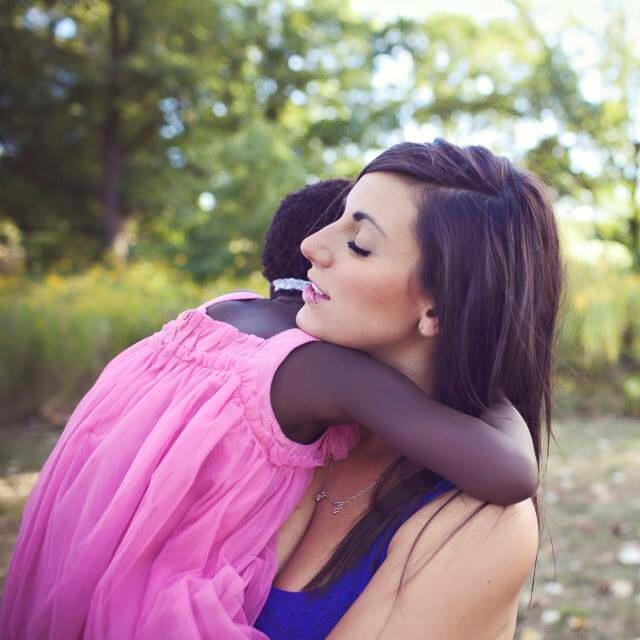 I agree that, as Becca Stevens, founder of Magdalene and Thistle Farms puts it “Love is the most powerful force in the universe for social change.” But when that statement is coupled with words saying my child’s skin color “doesn’t matter”, it gives me pause. Because even though I grew up in white suburbia on a steady diet of Colorblind Ideology, my conversations with adult transracial adoptees , the anti-racism training I’ve received, and my work following the Uprising in Ferguson, Missouri have lead me to understand that while being “colorblind” sounds nice, it does nothing to dismantle the system of racism and only serves to erase the experiences of people of color. ― Nayyirah Waheed , salt. Representation matters to children. To be able to see themselves reflected in the world around them justifies their existence in the world and gives them role models to aspire to. This is crucial for all children, but it is particularly important for children like my daughter who does not see her own face reflected back in the faces of her parents. Our mainstream culture in general is awashed in whiteness, and so this takes some special consideration and effort. Love might be enough, but often love requires mindfulness and intentionality. Love requires sacrifice. Love requires reflection, repentance, learning. As a white parent of a Black child, I try to be conscious of the pictures on my wall, the neighborhood I live in, and the media I consume. This is a job for us year round. My daughter is Black all day every day, 24/7, forever and ever, amen, and thank God for that. Yet I look forward to February. In our family that means this: we go through her entire collection of books and pull out all of the Black History ones. She has an enviable collection, thanks to gifts from family and friends who understand how important representation is for the development of her racial identity. After nightly prayers and family devotions, we have story time. 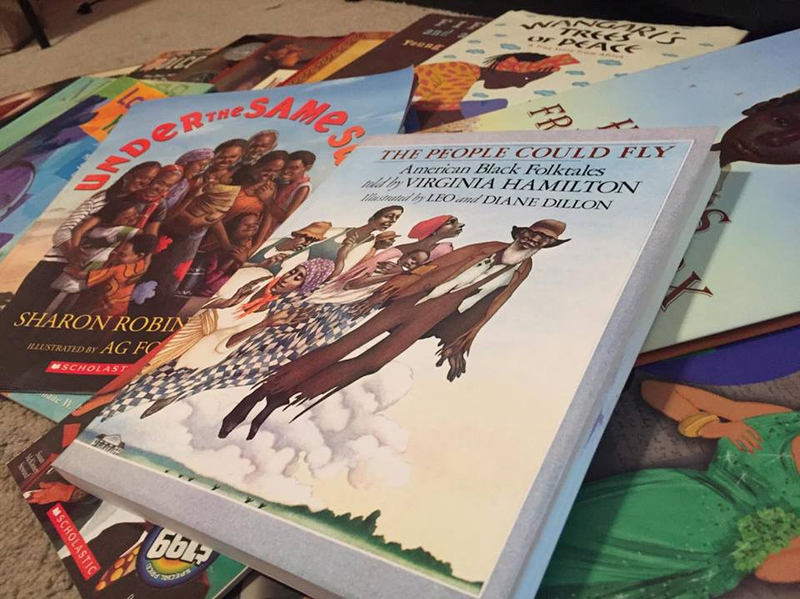 We commit in February to only read bedtime books about Black History, with Black protagonists, or African/African American folk tales. This might mean that we read an illustrated version of one of Maya Angelou’s poems, read one story from “The People Could Fly”, a gift given to her by Womanist Theologian Candace Simpson, and then wrap up with reading a biography about Wangari Maathai from Kenya. Before bedtime each night in February, after our activities and homework and dinner, we like to watch a documentary or a piece of a biopic about Black History. “Watsons go to Birmingham” is a favorite of my daughter’s, although between the recent PBS documentary on the Black Panther Party and Beyonce’s new lyrics my daughter has become a fan of documentaries of revolutionaries with Afros. A lot of the documentaries and films take a lot of unpacking. A lot of them are hard to watch. We leave plenty of time for questions and plenty of room for feelings. And then each year for Black History Month, we do a project as a family. Last year in 2015, my daughter interviewed prominent Black leaders in our community. She interviewed one West African immigrant who works for the Army, Johnetta Elzie, one of the important voices coming out of Ferguson and St. Louis as part of the Movement for Black Lives, one older church member who marched with MLK Jr. when she was my daughter’s age, 8 years old, and one trans Jew of color. 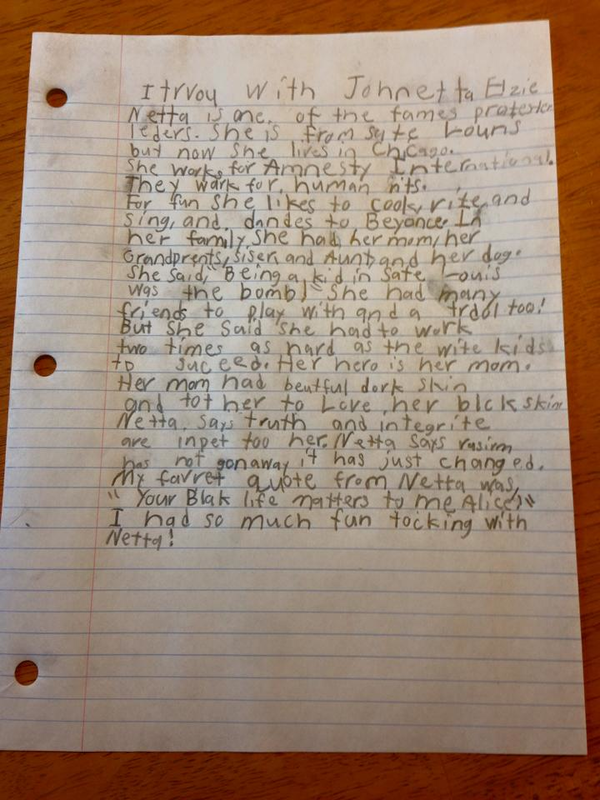 Our daughter knows that Blackness and the Black experience is as diverse as it is beautiful. She wrote the interview questions herself, took notes, and wrote a report for each of them. 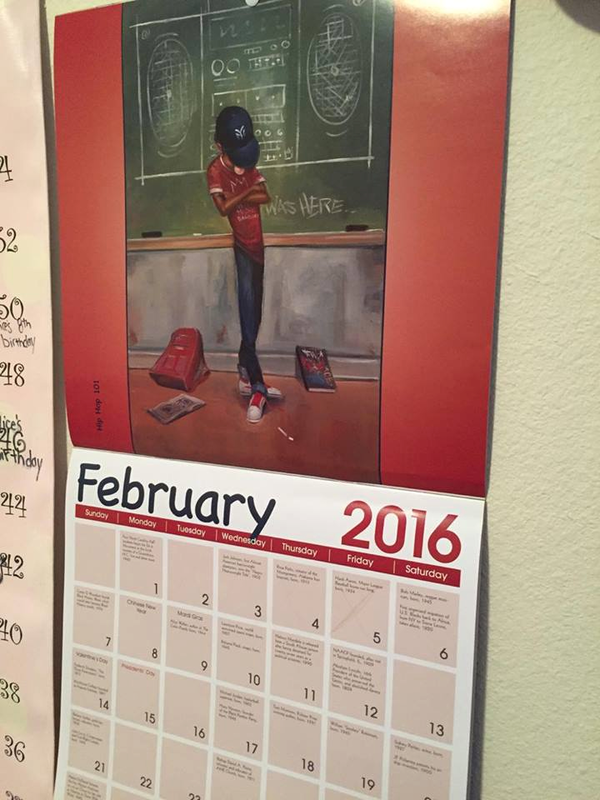 This year for Black History Month 2016, we chose an artistic, creative project. 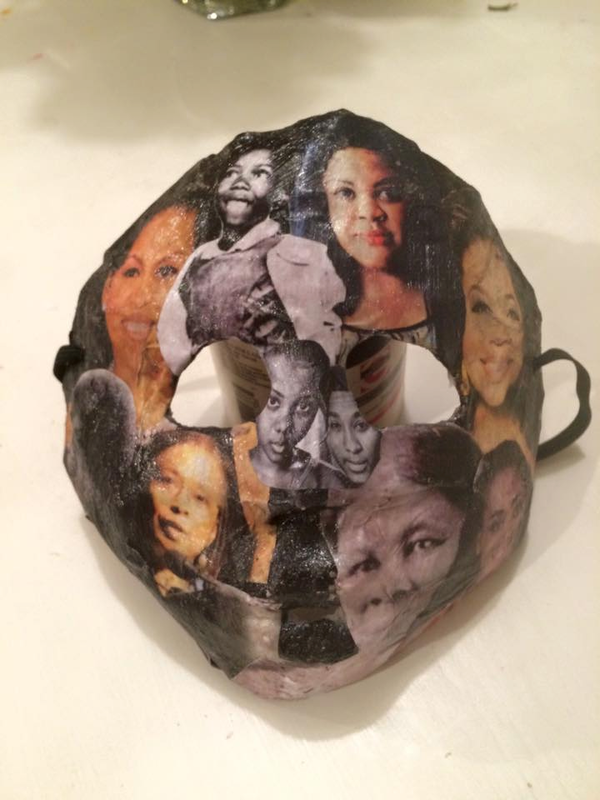 Together, with help from her dad who is an artist, she made a mask out of her favorite influential Black folks. 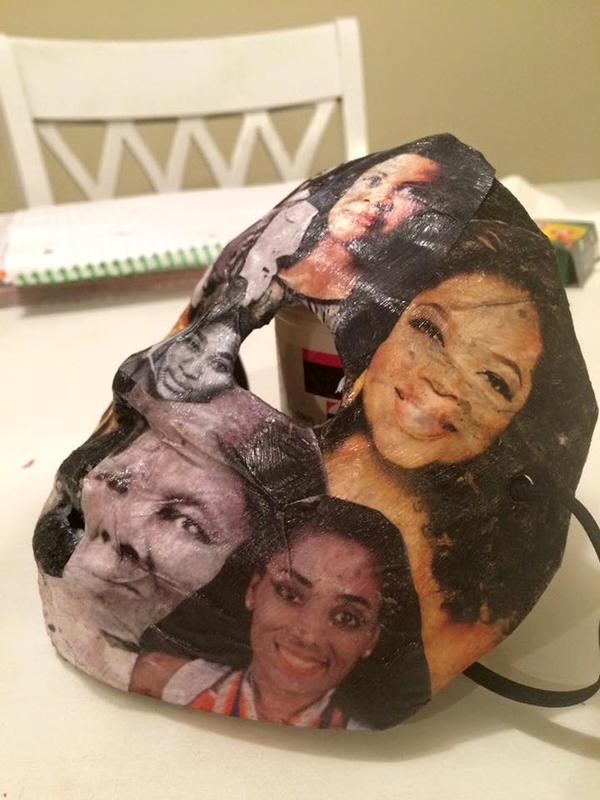 My daughter is a West African immigrant, so the mask symbolized Africa, since we have a lot of West African masks in our house it is a symbol that makes sense to us. 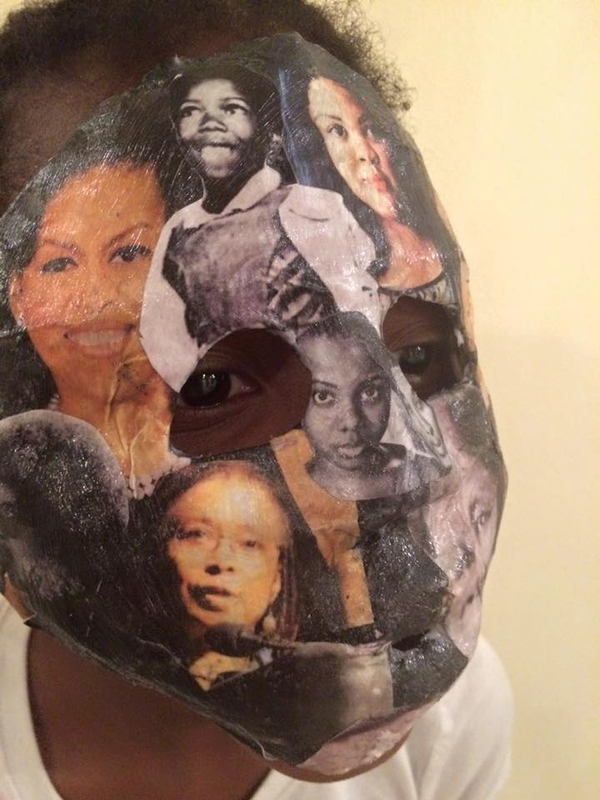 They created the mask, paper-mache style, in the shape of my daughter’s face, connecting all the power and beauty of these Black Americans back to Mama Africa. My daughter researched each of these people and chose them herself, from well-known historical figures like Harriet Tubman all the way to contemporary leaders like the founders of Millennial Activists United in Ferguson. These are the people who made a way for my daughter and whose stories and courage helped to form her. It should not only be Black children who are learning Black history. White children, white adults, white churches need to take up this task. We must be able to see the image of God in our neighbors, and in times such as these, that means our Black neighbors especially. We need to know that Black Lives Matter because Black lives, like all lives, were created in the Image of God. When we teach and learn about Black history and Black contemporary leaders and issues, we are showing that we believe that Black people matter, that their contributions were important. 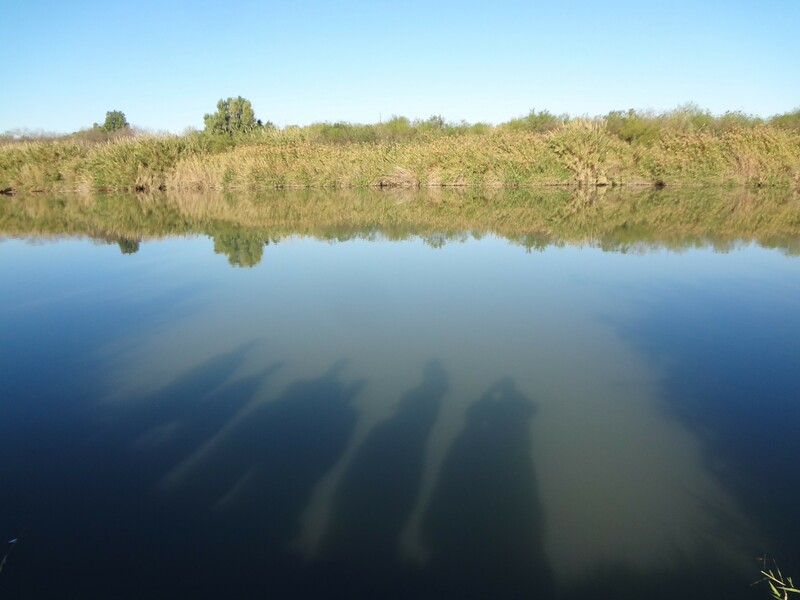 We are saying, “We see you. You are not invisible to us. We are willing to learn.” During this season of Lent, this means confessing that as white parents and as church leaders, consciously or unconsciously, we have not always taught that Black Lives Matter, that they are made in the image of God, that Black history and Black representation is essential. I am challenging you to do this, as a faith leader, but as a parent, I am begging. I am begging you to help create a world where my daughter can grow up safe and celebrated, knowing that she matters to her neighbors because she matters to God. It’s a task that must happen year-round, 24/7 for a lifetime, for generations. But maybe we could start this February. Elle Dowd is a candidate for ordination in the ELCA, planning to attend seminary this fall. 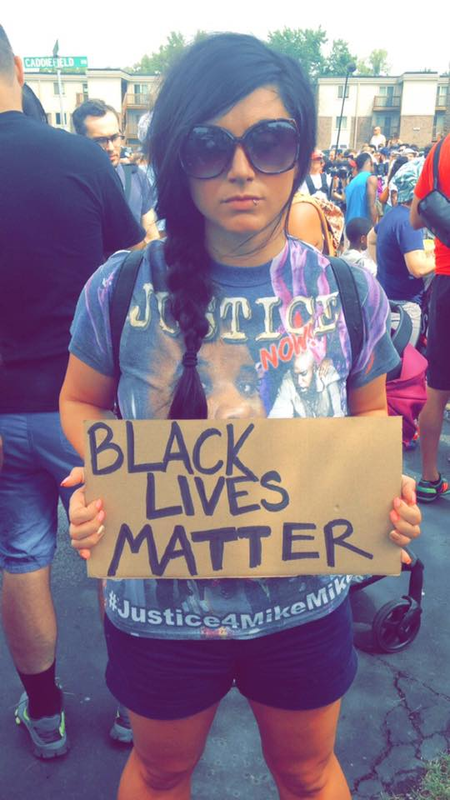 She has been active in the Uprising in Ferguson, MO. To read more of Elle’s writing, check out her blog. To hear what adult transracial adoptees have to say about their experiences, read Simon’s “In Their Own Voices”. For an amazing article on why Colorblind Ideaology is harmful, full of tons of links, please see the article 7 Reasons Why ‘Colorblindness’ Contributes to Racism Instead of Solves It. In some ways I find this rhythm similar to how I work with the liturgical calendar. As Christians we are called to confession, repentance, and special care for the poor YEAR ROUND, yet during Lent we have a special time to be reminded and to really lean into it. My daughter is Black year round and representation for her is always a top priority. But February is a time to lean into it, to be reminded.